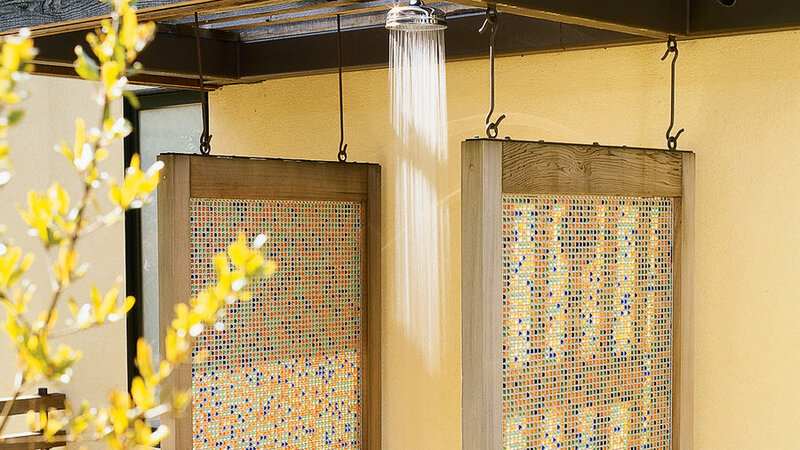 Lightscreen panels are available through (800/793-0224). 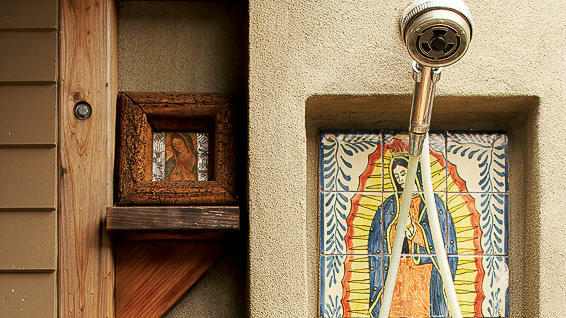 Privacy and convenience. 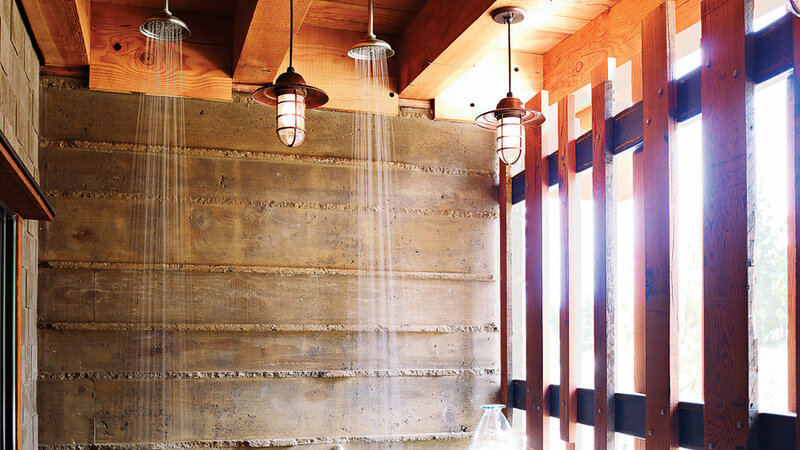 The reclaimed-redwood screen lets in light and air yet supplies ample coverage while showering under fixtures. 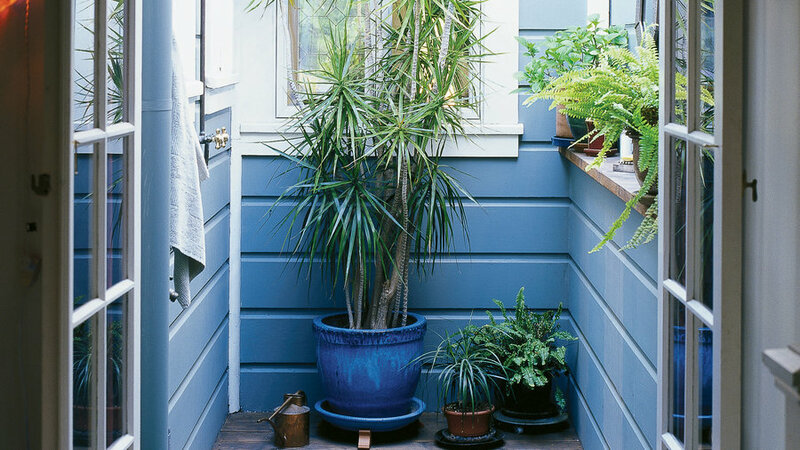 The low retaining wall adds further privacy and a place for accessories. 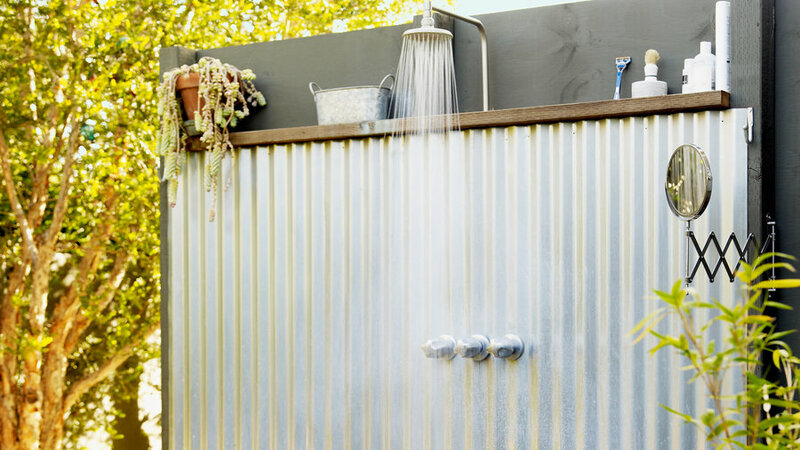 The outdoor shower by makes for easy post-beach-activity wash down.